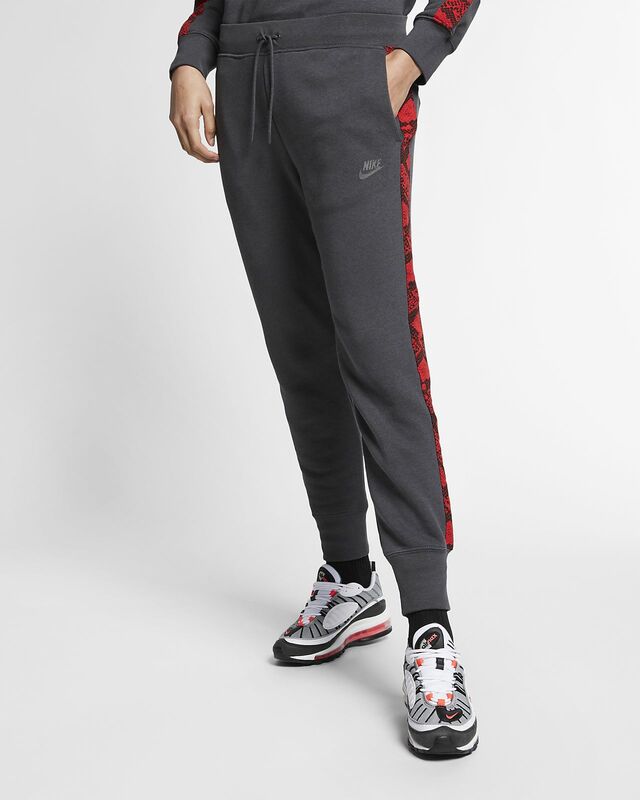 The Nike Sportswear Trousers deliver a classic design with a snake-print overlay down the legs for a dash of boldness. It's made from brushed-back fleece to help keep you warm when the weather gets chilly. CLASSIC COMFORT IN A BOLD DESIGN. 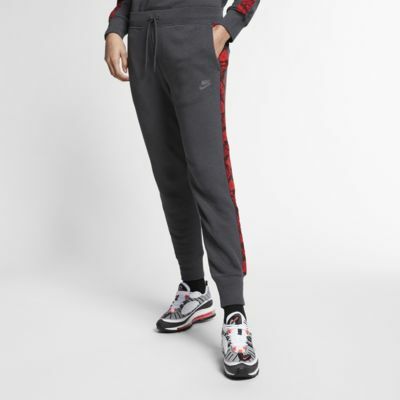 The Nike Sportswear Trousers deliver a classic design with a snake-print overlay down the legs for a dash of boldness. It&apos;s made from brushed-back fleece to help keep you warm when the weather gets chilly. Fleece is brushed on the back for warmth. Ribbing on the waistband and cuffs help keep the garment in place. Fabric: Body: 58% cotton/25% rayon/17% polyester. Rib: 49% rayon/47% cotton/4% elastane. Pocket bag: 100% cotton.